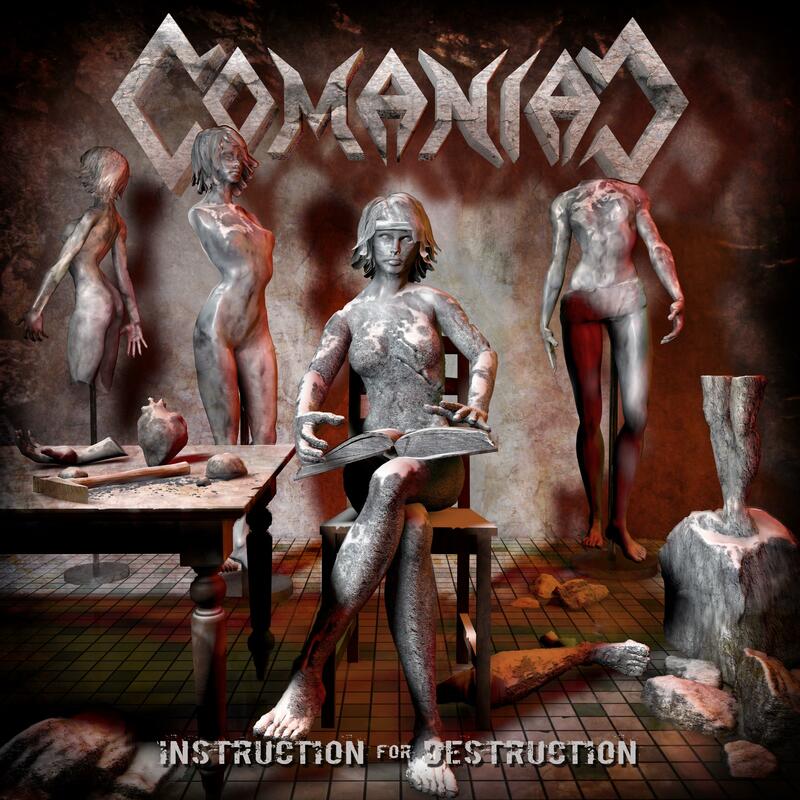 Comaniac - "Instruction For Destruction"
After two praised demo tapes in their founding year, the debut album “Return To The Wasteland” was labeled “The thrash highlight of 2015” (powermetal.de, 9.5/10) by the press. As support for bands like Exodus or Kreator and with an impressive performance at the MetalDays festival in 2016, the four established their reputation as an amazing live band. The second edition of their debut album was soon sold out due to enormous demand. Not less than that can be expected from the Swiss’ new album that is to be released via SAOL on April 7, 2017. The title “Instruction For Destruction” states what Comaniac stands for: destructive thrash metal at its best. With “Coal” as the perfect opener to show the band’s musical development, it is not hard to predict what this will lead to – Comaniac are Switzerland’s promise for the future of metal. Songs like “Bow Low” or the title track “Instruction for Destruction” have that high recognition value many young thrash metal bands can’t provide. It makes the listener hope that the four will keep following their own instructions – because destruction hardly ever sounded so good. And Comaniac’s destruction can’t be stopped.